The number of DUI cases in Arizona has grown over the years. This led to the implementation of stricter driving laws. The sheer number of existing laws has started to cause some confusion, to be specific, on their application. Bicycle laws are no exception. Many of these laws have evolved, which resulted to varying interpretations. According to Arizona State laws, the existing provisions that apply to motor vehicles on the roadways are also applicable to bicycle riders. While this is quite clear, there is a particular law that confuses many bicyclists. The Nat’l. 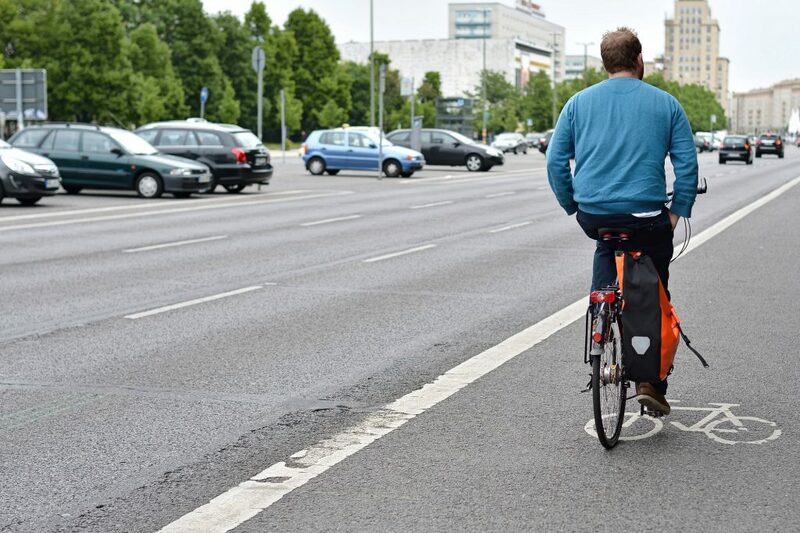 Highway Traffic Safety Administration says that around 25% of all bicycle-related deaths involve intoxicated riders. Now, the question is: Is it possible to be charged with a DUI offense on a bicycle in Arizona? Is there such a law? Driving under the influence of an intoxicating drug, liquor, or vapor that contains a toxic substance, or a combination thereof if it impairs the person even to the slightest degree. Having alcohol concentration in the blood of at least 0.08 within 2 hours of driving or physically controlling a vehicle, where the alcohol concentration is due to alcohol ingested while or before driving or physically controlling the vehicle. Possession of any type of drug or its derivatives in the person’s body as defined in section 13-3401. According to Arizona state laws, a vehicle is any device that is used to draw or transport a person or property on a public highway. The definition excludes devices that are moved or controlled by human power. On the other hand, the law defines a bicycle as a device moved by human power. The official definition is specific in mentioning that the person must actually have physical control of a vehicle. Thus, charging a bicycle rider of a DUI may not be lawful. Most experts argue that DUI cases apply only to motor vehicles. But, in the state of Arizona, there is no statewide law is in place that applies particularly to riding a bicycle under the influence. It has been clearly established that a person riding a bicycle cannot be charged with driving under the influence under state law. Recently, the City of Scottsdale amended there city ordinance to address the issue or bicycles and scooters. The ordinance prohibits drivers from riding a electric bike or scooters while under the influence of alcohol or recklessly, although it is legal to ride a non-motorized bike while under the influence of alcohol, so long as it is being ridden in a safe manner. But, there are various other violations that a bicyclist can be charged with. These include disorderly conduct, as well as public intoxication, which is applicable in some Arizona cities. Having said that, whenever you drink over the legal limit, avoid riding a bicycle or driving a car. Instead, use public transportation or have a sober driver take you to your destination. This way, you will lower your legal risk and keep yourself safe on the road at the same time. In the unfortunate chance that you are facing a DUI charge, having an experienced Arizona attorney like Robert A. Dodell, Attorney at Law, by your side will help you put up the best possible defense. In case you are found guilty, your lawyer can help minimize your jail time and other penalties. Attorney Dodell has been defending DUI cases in Arizona for many years now. With his vast experience, you can expect him to ably handle your case. He will be with you throughout the entire legal process. He will keep you abreast on the progress, and address all questions and concerns you may have. Working with Atty. Robert A. Dodell means you will be with an experienced lawyer who knows exactly how the Arizona legal system works. He will come up with the best possible defense for your DUI case. Hire a competent and experienced DUI lawyer. This way, you can protect not only yourself, but the best interest of your family as well. Bear in mind that having a DUI conviction will permanently blot your record. For the next decade or so, it will remain as a prior offense. You can prevent that by scheduling an appointment with Robert A. Dodell Legal Defense.